Fujitsu is expanding its unique role as a Microsoft Windows Azure platform-as-a-service (PaaS) hosting partner with the addition of hybrid cloud capabilities to its portfolio. 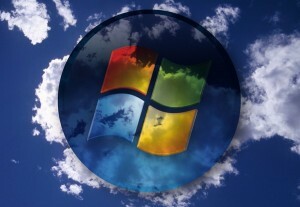 Fujitsu is expanding its unique role as a Microsoft Windows Azure platform-as-a-service (PaaS) hosting partner with the addition of hybrid cloud capabilities to its portfolio. With the so-called Hybrid Cloud Services for Microsoft Windows Azure, customers now can choose which workloads stay on their own premises and which run in Fujitsu’s Azure cloud. And Fujitsu said this move can save organizations an average of 30 percent. Let me back up: As with most hybrid cloud offerings, the real value proposition lies in helping customers meet regulatory compliance and governance needs by making sure data that needs to stay secure and local does so. That’s an especially likely use-case in the public sector. With the new Hybrid Cloud Services offering, Fujitsu’s cloud customers can tie their Microsoft Windows Azure deployments to a Windows Server environment, whether it’s running on-premises or hosted elsewhere in Fujitsu’s cloud. That means applications can be run securely across either at will, according to the press release. It’s available now in the United Kingdom, the United States, Australia, Spain and Canada, with the promise of further global availability coming soon. I don’t know what it is about Fujitsu, but Microsoft affords it a level of involvement with Azure services that remain denied to so many other hosting providers. But between this and Microsoft’s recent cloud alignment with service provider Infosys, it may be a sign that Redmond is slowly but surely waking up to the partner ecosystem around it.